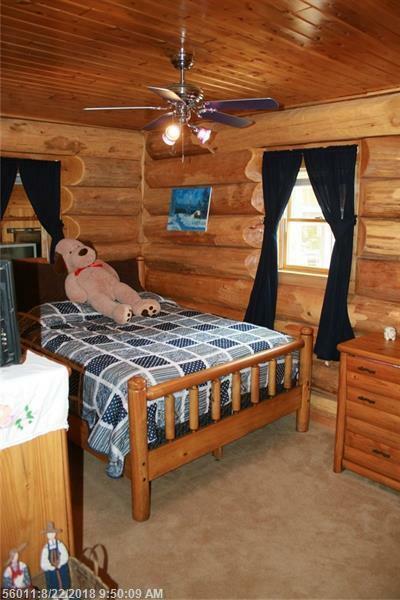 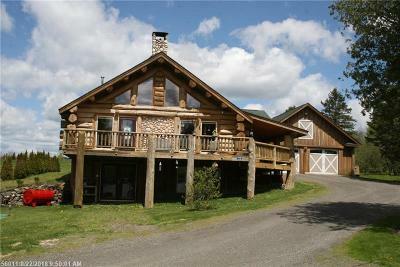 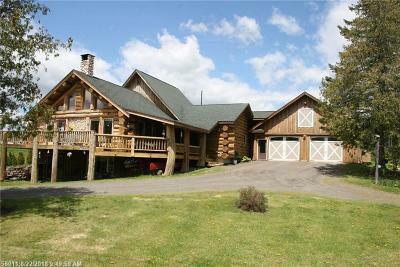 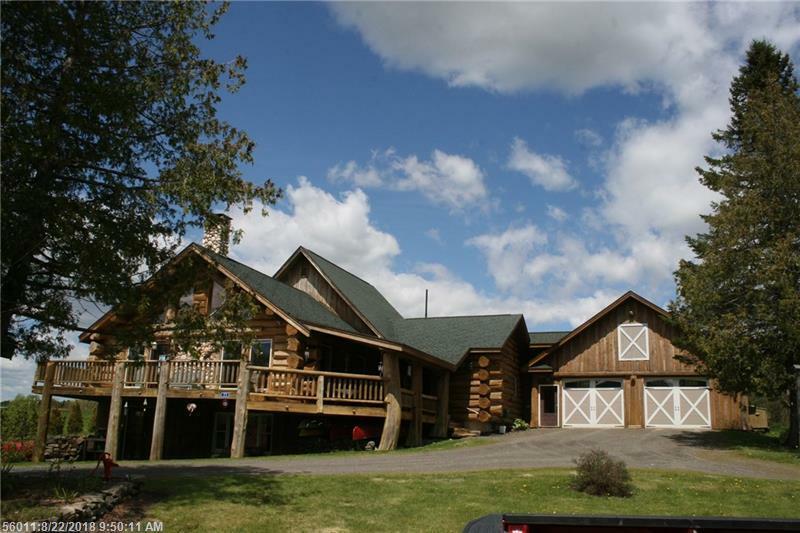 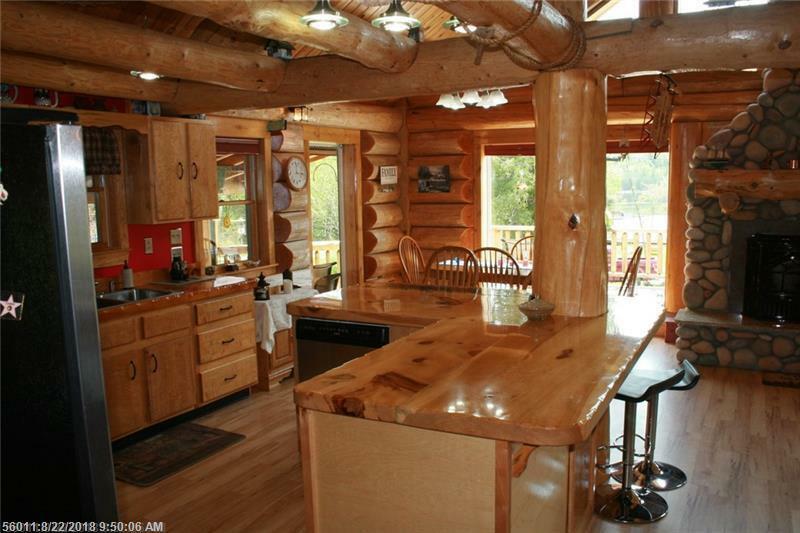 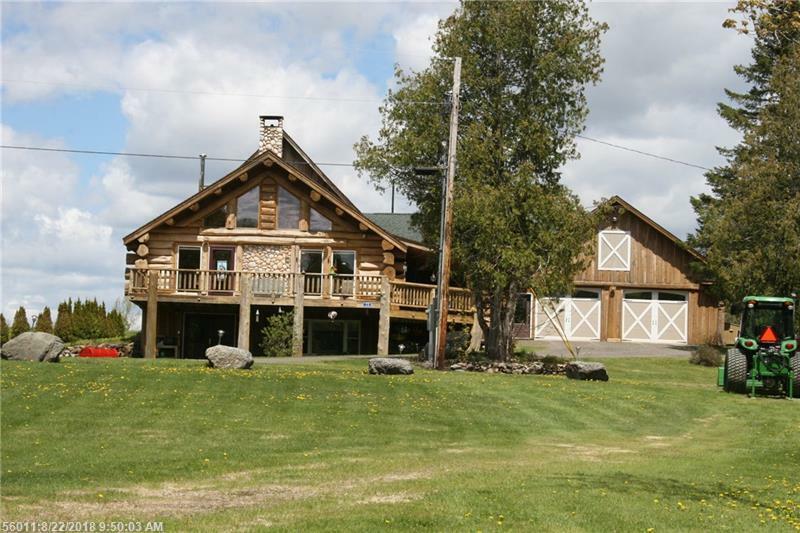 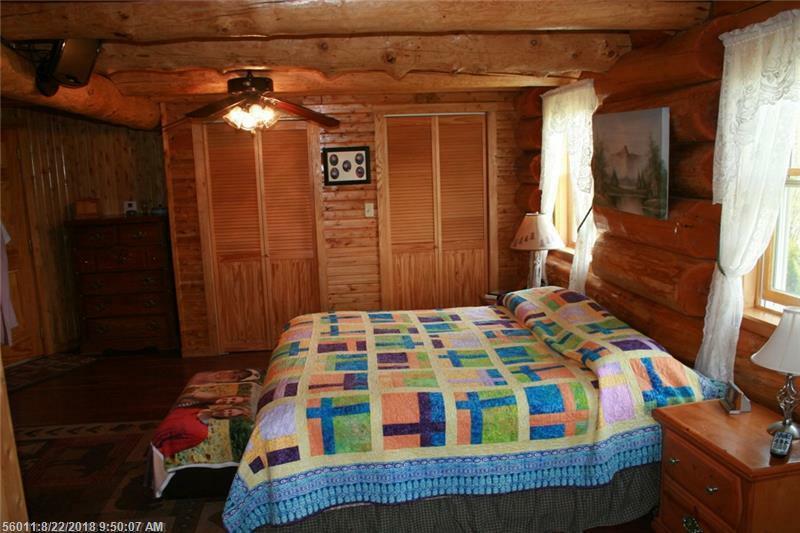 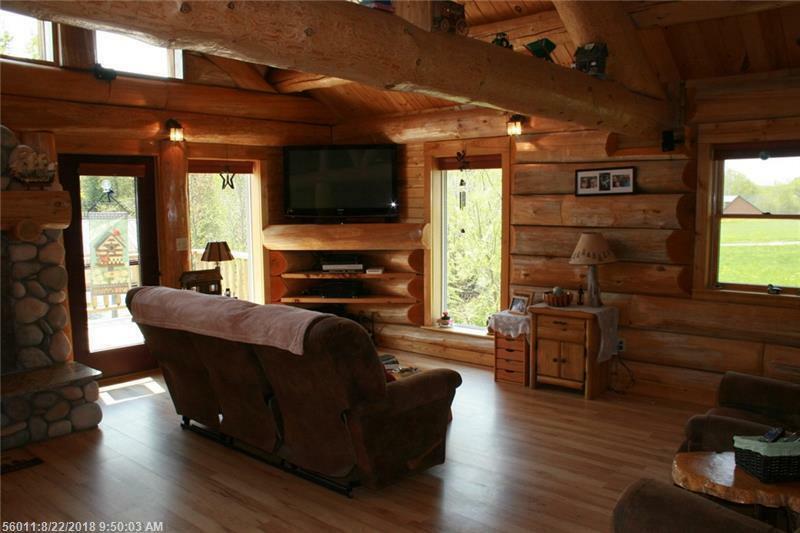 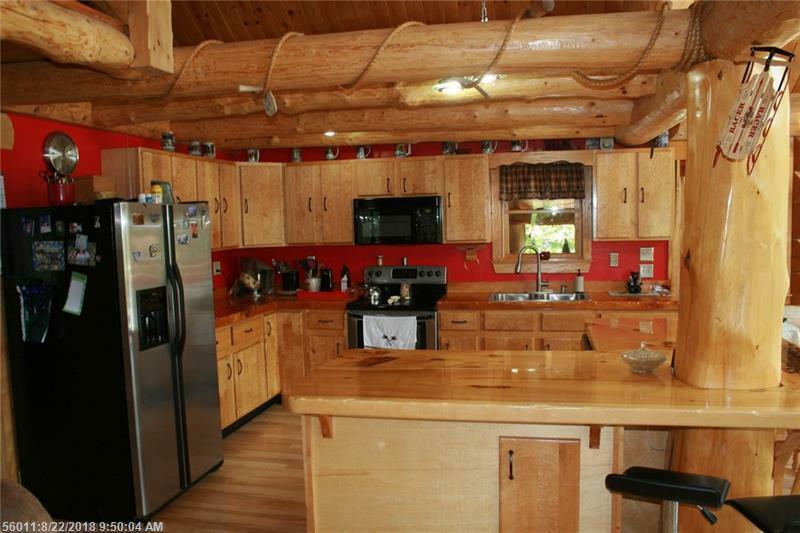 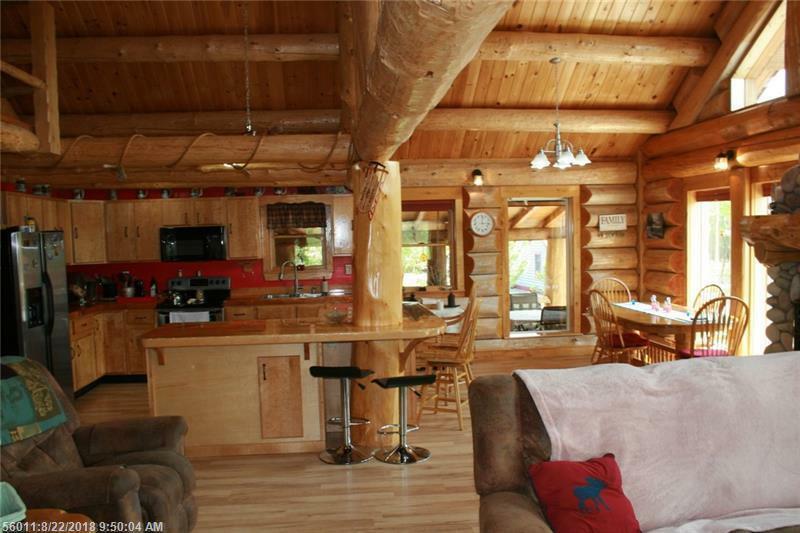 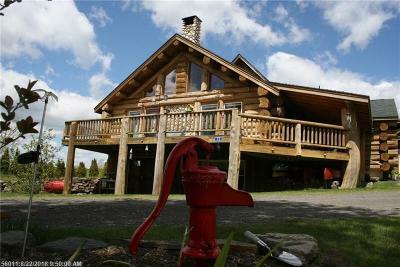 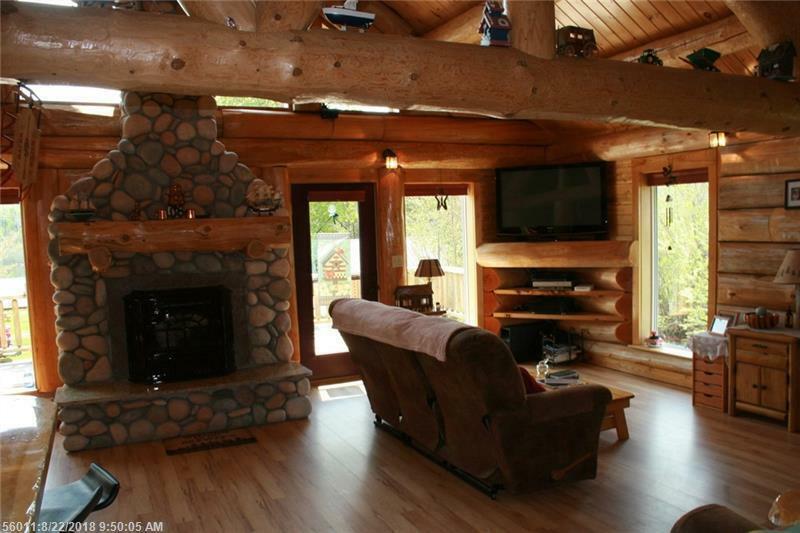 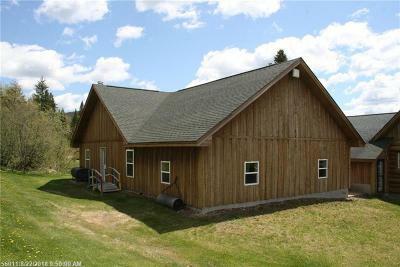 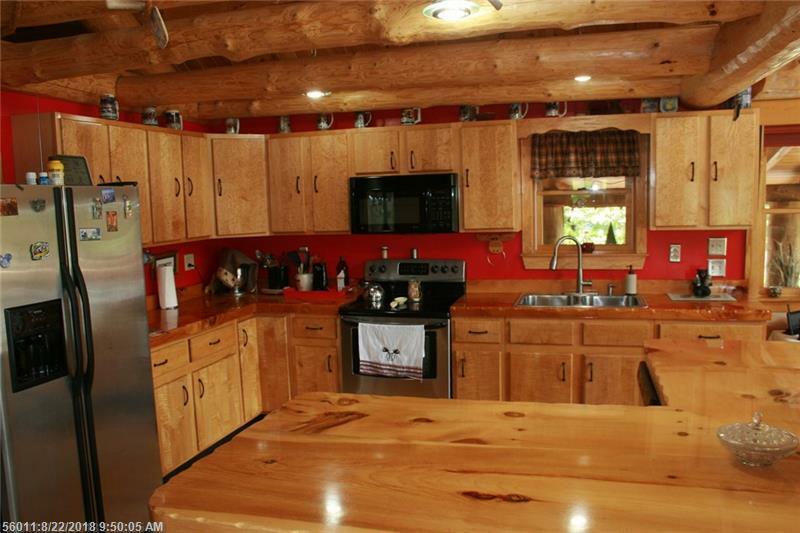 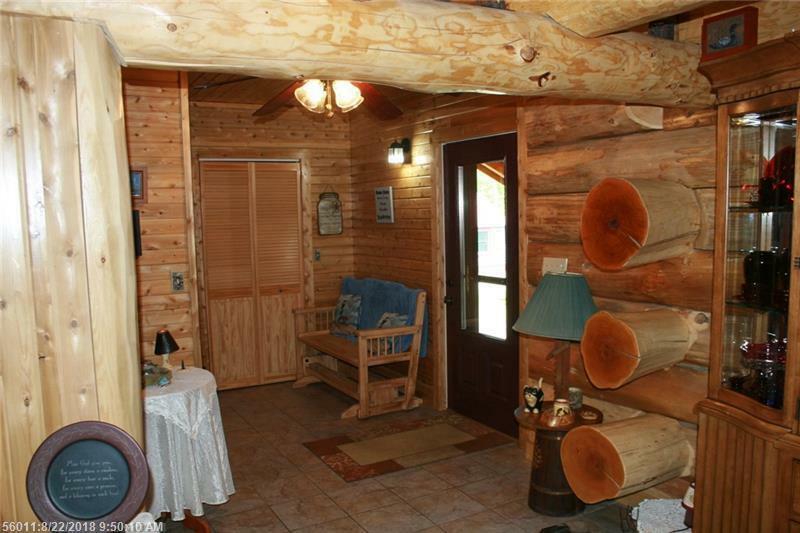 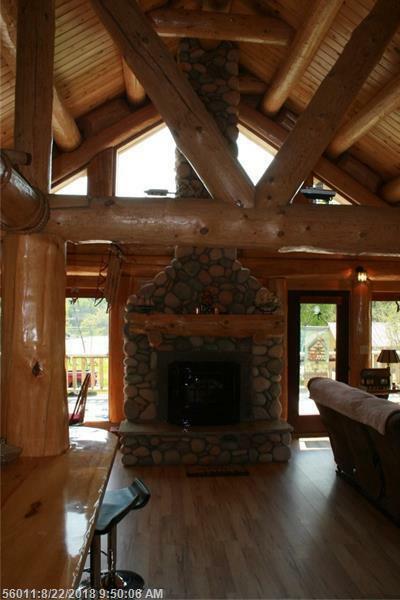 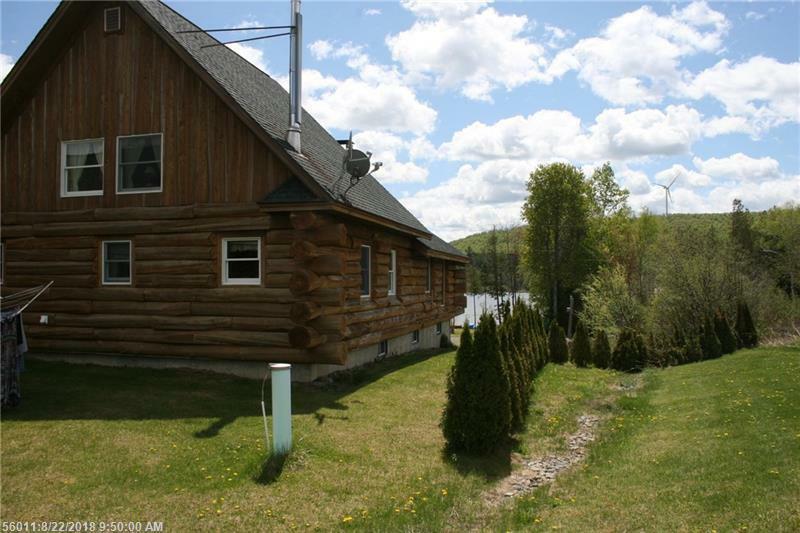 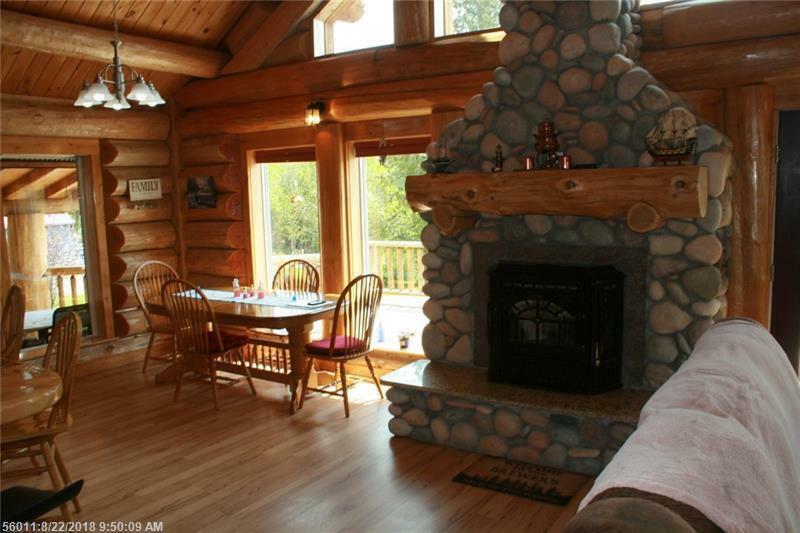 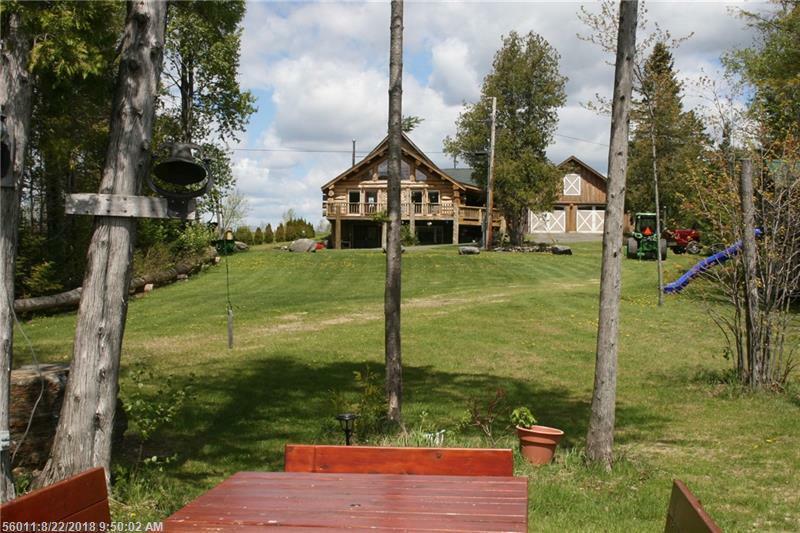 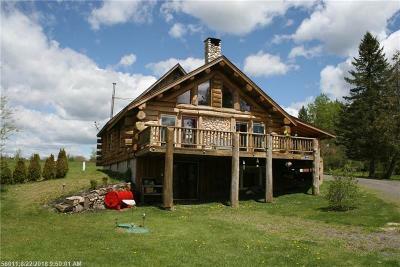 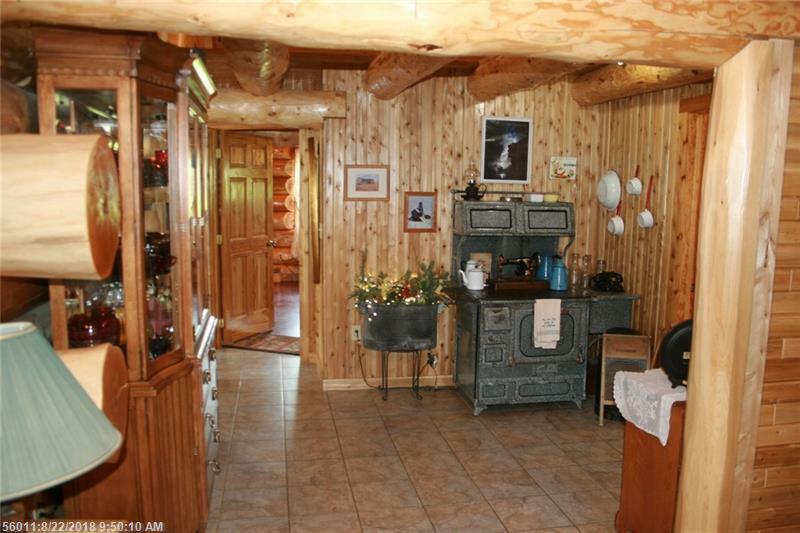 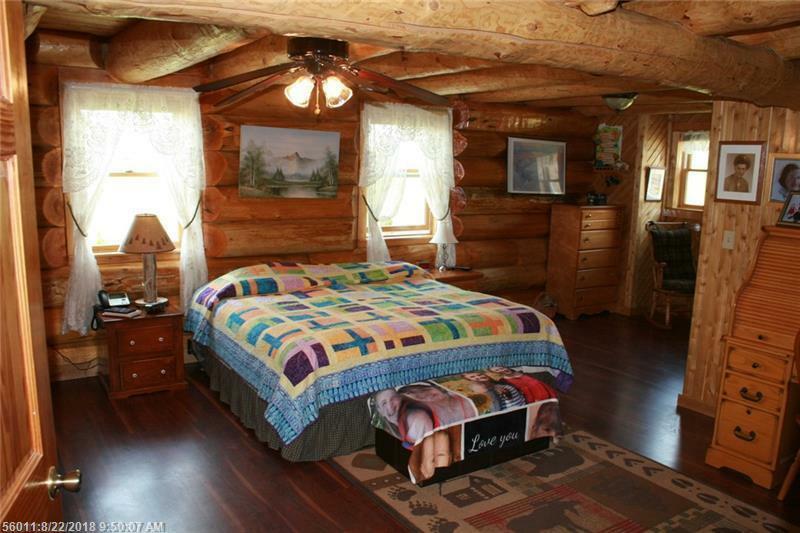 Dream Log Home built with logs from Northern Maine! 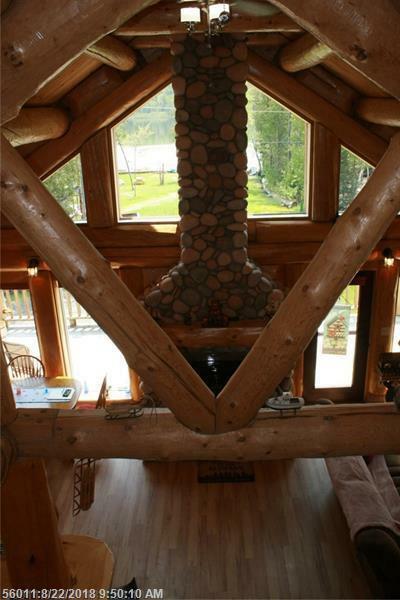 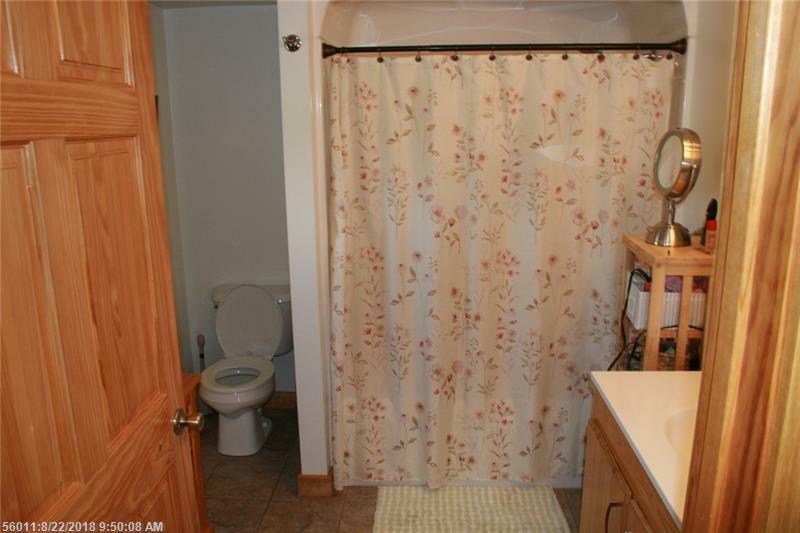 Character, detail make this home and property like no other in the area. 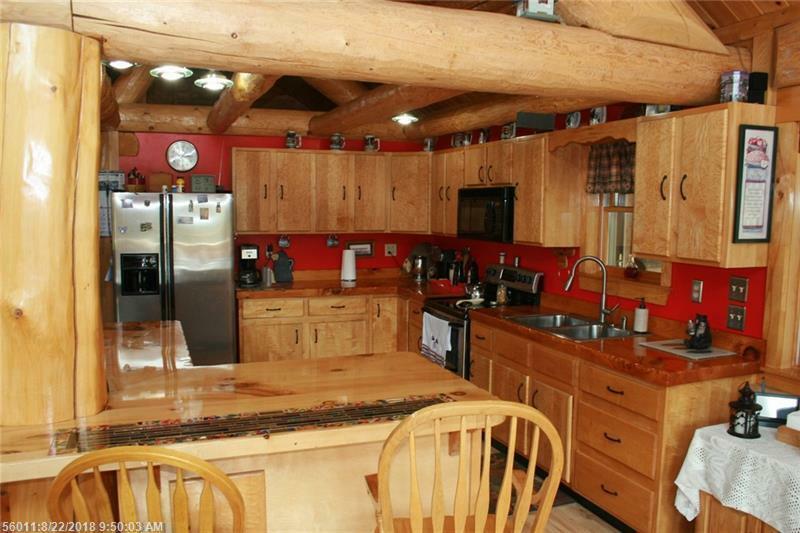 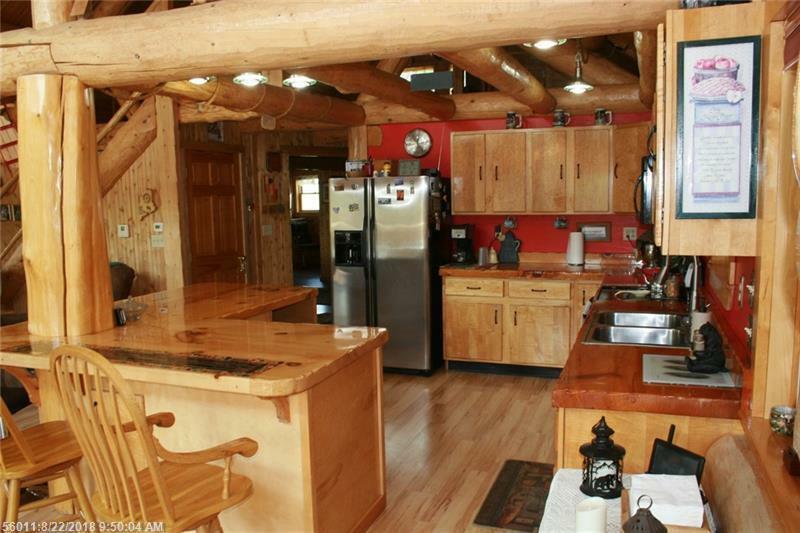 Birdseye and curly Maple cabinets, impressive butcher block countertops, Large logs centerpiece the living and kitchen, stone fireplace with pellet insert, massive 2100 sq ft garage with lift. 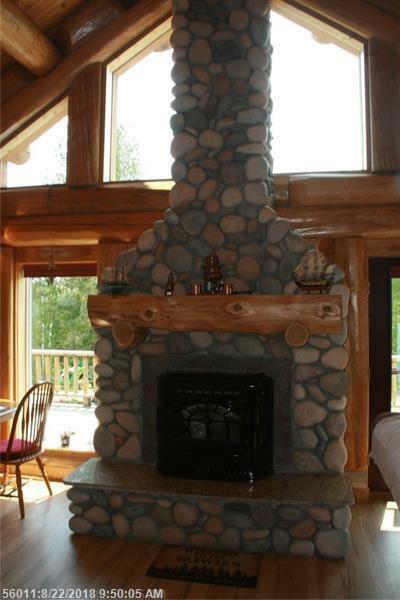 Its 100% custom! 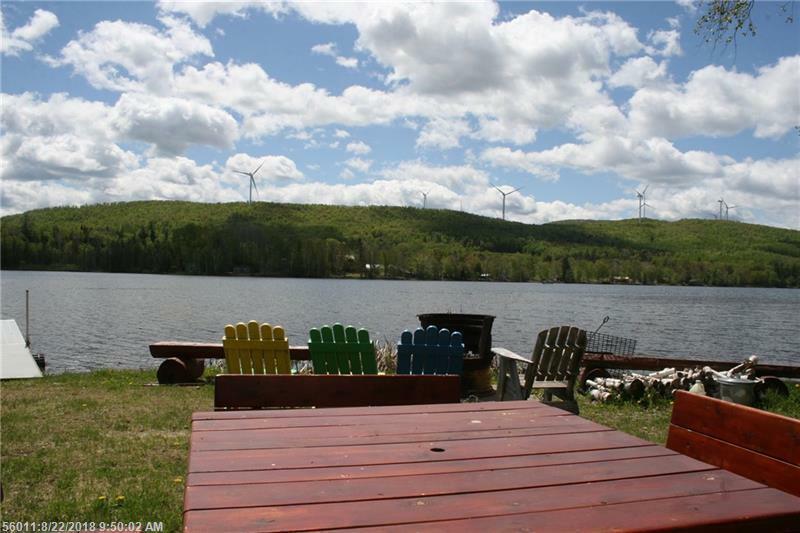 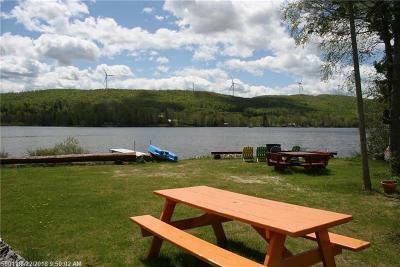 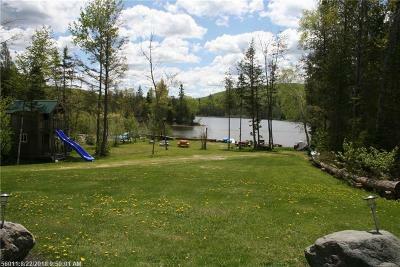 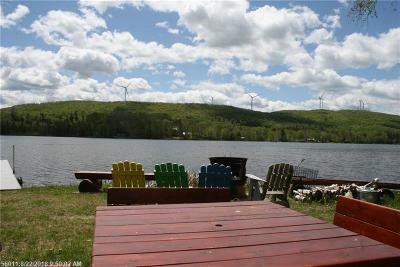 Lot offers 100 ft frontage on Spaulding lake and very well landscaped. 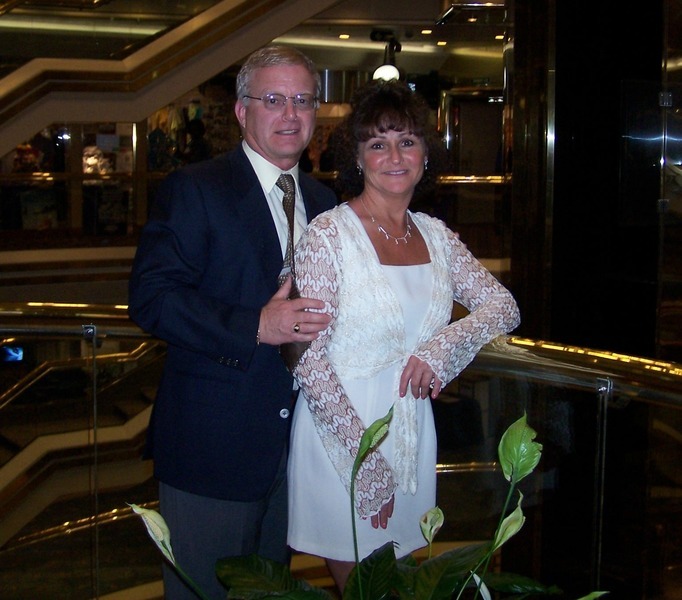 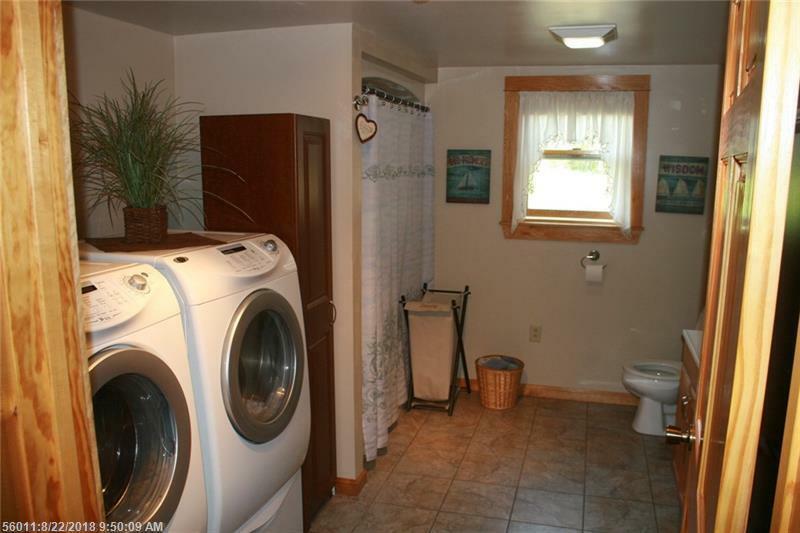 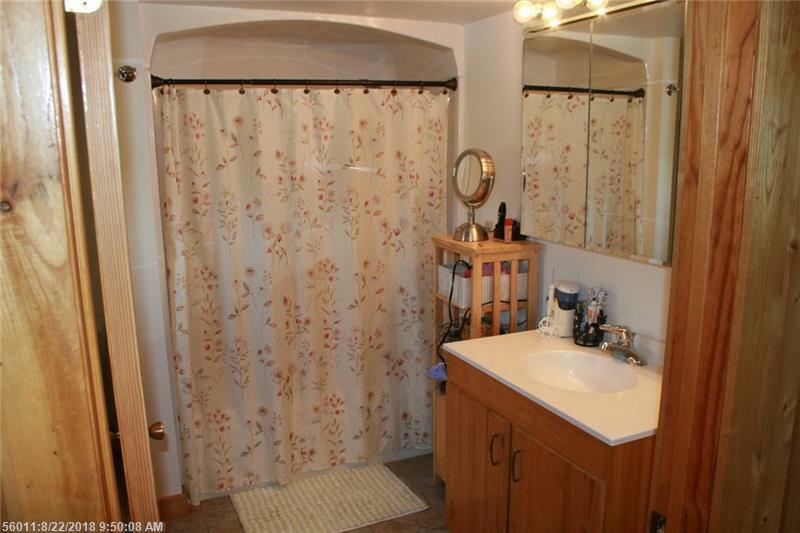 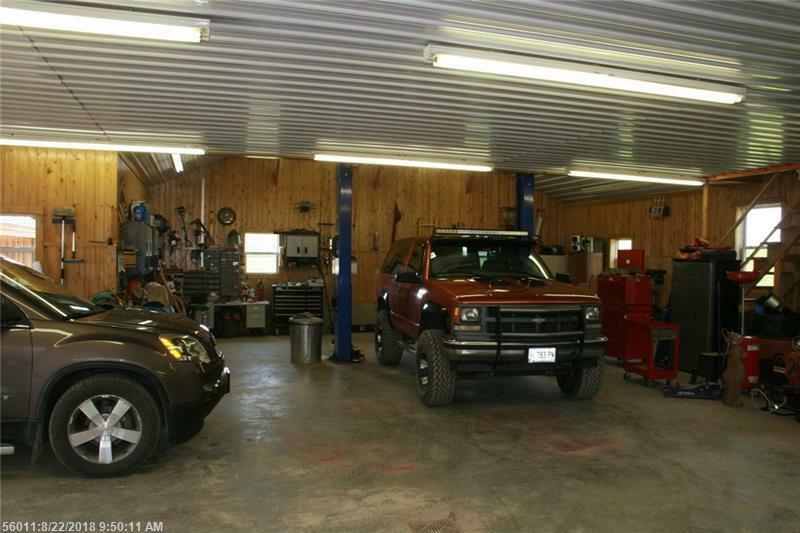 Property equipment with it, generator, appliances, lift in garage, docks and much more! 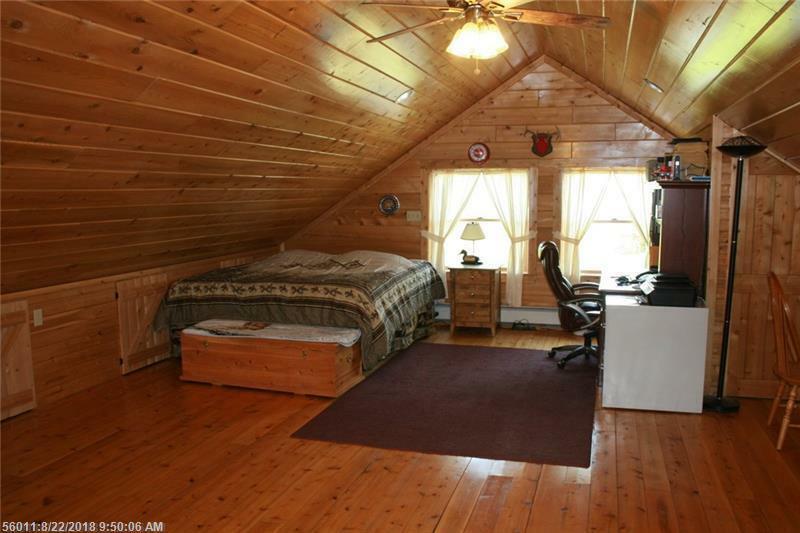 Completely setup and a true showcase home!